Tech Overlords is brought to you by Brayden Schulze, Nathanael Kramer, and David Montgomery. We're just a few geeks/nerds who like to hang out and talk about all things tech, games, movies, tv shows, and lots of other random things that pop into our minds. 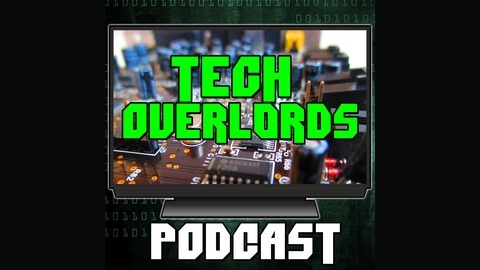 If you enjoy what you hear please subscribe on iTunes Like us on facebook.com/techoverlordspodcast Tweet us on Twitter @tekoverlords. Wannacry news, but wait there’s more crying involved! Adylkuzz Don’t step on this crypto mining Wannacry variant, all your coins are to be mine. New virus using all 7 of the NSA tools (Eternalrocks) and it rocks your boat and leaves you locked down and crying. ( With no paddles.) Sinking. Quickly. Zomato leaks - India has delicious food, and delicious snacks and hacks with side of curry. Does your internet need PATCH? We think it does, a group is pushing for legal protection for hack reporting and protection against stockpiling all the hacks/exploits. WannaKiwi, Wannakey decryption tools, we pity the fools who rebooted after getting this bug, but if you don’t reboot and use one of these tools, you MIGHT get your data back. Canned air sales! It's so light and fluffy and selling like solid gold hot cakes. Savetheinternet.com / Net Neutrality - What is net neutrality and why it matters to you… annnd how you can save the internet. Netgear metadata, Do you need a new update that keeps more than your router stats on file? How Netgearing cataloging your entire planet of things? Get this! FCC DDOSSED? Or not? Or maybe bot? Windscribe.com - 10 Gb of free vpn power. Free. Google I/O reveals sweet new AI enhanced features that will change the way you use your cell phone camera and introduces new tech! 3D printing ovaries - AND THEY WORK! At least so far in mice. Subscribe and leave us a review on iTunes. 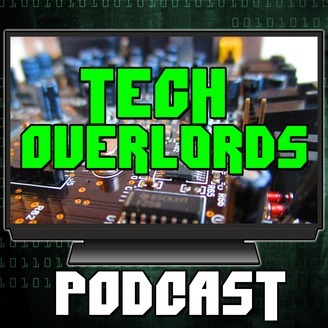 Like us on facebook at facebook.com/techoverlordspodcast.